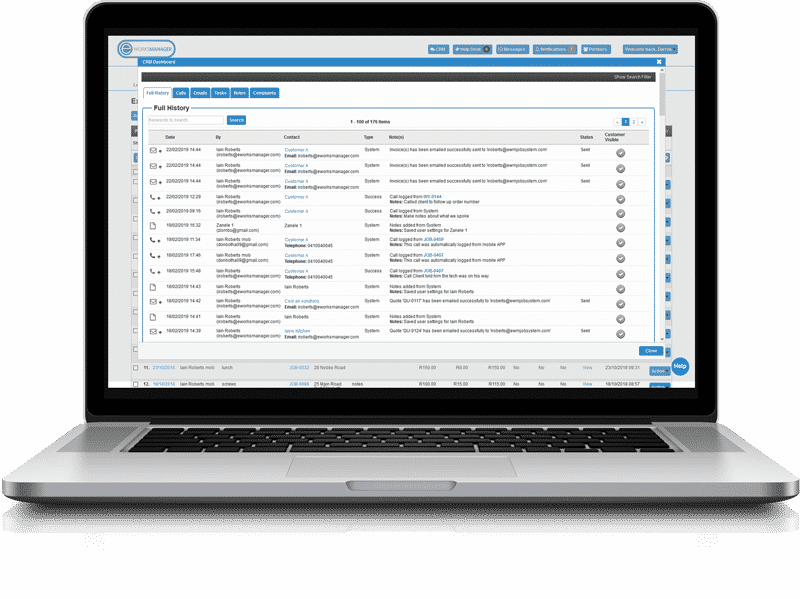 Manage Your Communications and Record Calls, Emails, Tasks, Notes, Complaints All in one with our CRM System. For a 14-Day Free Trial, click here! A Full Featured Job Management System with a Complete CRM Feature Designed to Manage and Streamline Your Entire Business from Start to End. Manage Your Communications and Customer Data with our All-in-one CRM System. Manage Your Communications With Your Customers and Suppliers. The customers section within Eworks lets you capture and manage all your customers in one system. Easily import your customers using our import template that is already created for you. Just as easy as it is to import your customers, you can export customer information for use in other programs. This saves you the hassle of capturing customer information one – by – one. In Eworks, you can set specific payment terms and discounts for each customer which are automatically added to costings. This makes managing your loyal customers and late payers more effective in an all in one customer relations system. When you give your customers access to the customer login portal they can log in and request quotes, create new jobs for you and view the progress of their jobs. They are able to view and add any notes created within the CRM of a quote or job which simplifies communication. This feature will need to be enabled for each client by you if required. You will have unlimited customer logins free of charge. Our CRM System offers you the facility to track calls, emails, tasks, notes, and complaints all in one place. Whether these are job specific or in general. Our marketing feature is available for you to market to your existing customers, simply export them into MailChimp. Eworks offers an Outlook integration. The Outlook plugin lets you link any emails directly from Outlook into your Eworks account against a customer. This makes sure that any and all correspondence are stored for future use. If your customers have multiple sites, that is no problem for Eworks. Easily add multiple sites, addresses and contacts against a customer. In the case where work needs to take place at another location, you can keep a full work history in your CRM System. Managing additional contacts for those sites is also made easy. We have an import template that is already created for you. All you have to do is populate the template and import it into your system. This way you can find the information for the contact person at that particular site with ease. 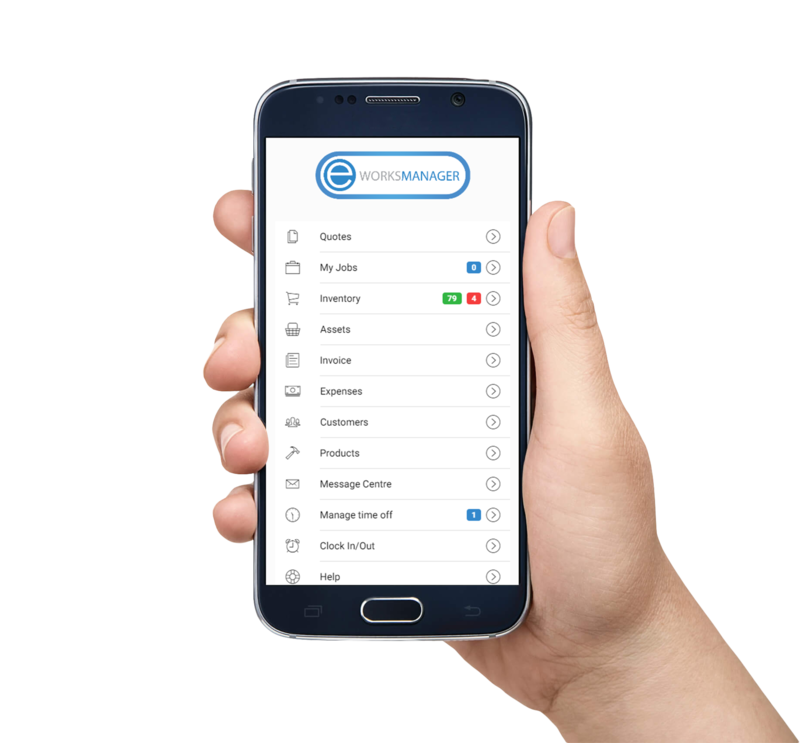 The various reports available in Eworks’ CRM Software include but are not limited to; customer profit report, invoice report, complaints report and site turnover report. Knowing which customer makes you the most profit will make sure you are taking care of them. The invoice report will show you an overview of invoices for customers including total amounts. The complaints report will ensure all issues are noted and quickly rectified in order to keep your customers satisfied and allow you to pick up on any complaint patterns, and the site turn over report will show you a monthly total per customer, per site. Improved efficiency in serving clients.